STILL AT EL CENTRO ROAD! The remodel is going along nicely but with all construction, the end date constantly changes. It is looking more like mid-May until we will be moving into the new building in Rancho Cordova. Once we make that move, every member and affiliate will receive a “We’ve Moved” postcard announcing the new address and other information. If you came to the March 7th meeting, you have already heard of some staffing changes that were made recently. Brother Mike Franklin is now working in the Business Office as the main Dispatcher. Brother Rusty Johnston has rejoined Brother Rob Saragoza as full time Organizers and Brother D’Elman Clark is working as a Business Representative and PAC registrar. I welcome Brother Franklin to our Office Family and look forward to working with him. We’ve been busy with job calls and that is only going to continue. 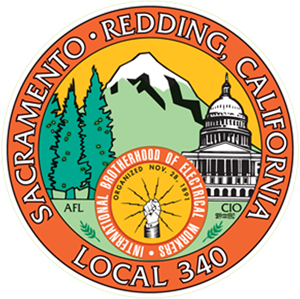 At present, we are currently looking at making some improvements to our referral policy that we feel will help us to fill all Local 340 job calls, especially in regards to the Short Calls. These changes will be announced soon and will be mailed out to all active members. In the meantime, we welcome your input. Come to the Union meetings or talk to our new Dispatcher Mike Franklin so he can bring your ideas to the table. My wife Miranda and I attended the 9th Annual Softball Team Crab Feed on Saturday March 10th along with a crowd of over 300 which consisted of Local members and their families. Thank you to the players and their wives (and kids) who worked tirelessly that day to ensure that we all had a great time. Even though we have not yet moved into the new offices in Rancho Cordova, the crab feed was held at the new Hall and this “trial run” proved that the Local will never need to rent a Hall to hold a meeting or a Local 340 event, like we’ve had to do in the past. If you want to be part of this year’s Picnic Volunteer Committee, call Reyna at the Hall. Help in the planning of the picnic and help on picnic day is always needed and greatly appreciated. It is with great sadness I report the passing of Active member Brother Chris Mapes (father of former member Christopher Mapes and brother-in-law of Brother Bob Williams). During Chris’ career he served as a Trustee for the Sound & Communication JATC, was Vice President of the S&C Unit, completed an Inside apprenticeship and served on our Executive Board as well as our Examining Board. 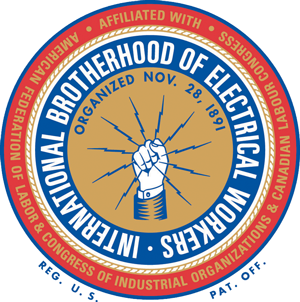 He was an MDVC member who loved talking to future members about the benefits of being a Union electrician. Brother Mapes was a 24 year member of Local 340 and 56 years of age.